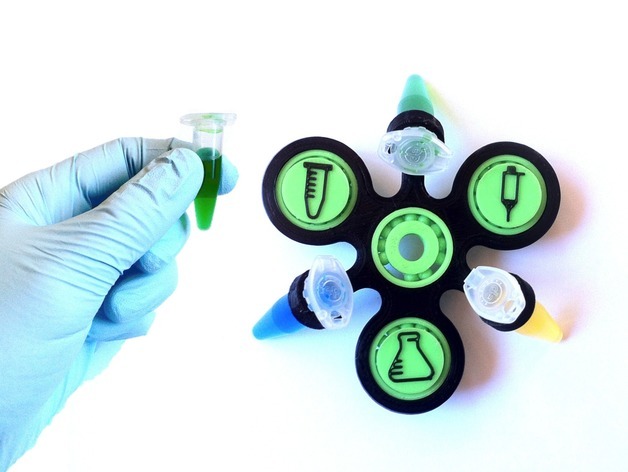 Lab Centrifuge Fidget Spinner by Mat Lek #3DThursday #3DPrinting « Adafruit Industries – Makers, hackers, artists, designers and engineers! This is a fidget spinner I have designed to centrifuge! It works for 2 mL and 1.5 mL Eppendorf tubes. And I made some adapters to use it with 500 µL tubes. I have also designed some bearing caps, based on this file: https://www.thingiverse.com/thing:1848330.